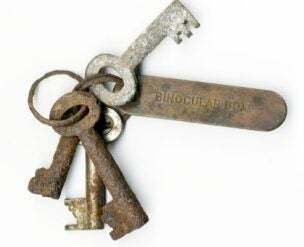 Thanks to the volcanic ash grounding European planes, sea-travel might just become the new way to skip between countries, making this Saturday's £90,000 auction of the keys to the binocular cabinet on the Titanic all the more poignant. The keys were in the possession of second officer David Blair, who forgot to pass them on to the person who ended up replacing him on the Titanic's voyage. As we all know, thanks to James Cameron, no-one was able to get to the binoculars, and as a result the ship met an untimely fate at the sharp edges of an iceberg.